If you’re looking for a great holiday park in Cornwall, Tencreek is the top choice in Looe. Beautiful countryside, stunning views of the sea and excellent facilities await you and your family just outside the Cornish seaside town of Looe and nearby fishing village of Polperro. Relax, unwind, and say hello to great value holidays with a stay at Tencreek caravan site in Cornwall. 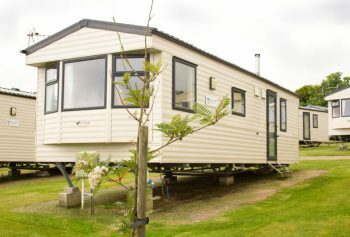 We have a wide range of caravan holiday homeswide range of caravan holiday homes that sleep a maximum of 6-8 people and have all the facilities and home comforts that you need for great caravan holidays in Cornwall. Choosing Tencreek Holiday Park for your caravan holidays gives you access to a whole host of wonderful attractions and places to visit around Cornwall. Our caravan site in Cornwall makes for an ideal base to go and explore one of the most popular areas in the UK, with top attractions like Newquay Zoo, Land’s End and the Eden Project all within easy reach. Find out more about Looe and our top tips for exploring the local area with our guide to Looe, and keep up to date with the local Cornish news and upcoming events with our news section. Choose from our range of caravan holiday accommodation – all of which come with a guaranteed Cornwall sea view and sleep up to 8 people. With 8 different grades of caravan holiday homes to choose from, there’s something for all tastes and budgets at our holiday park in Cornwall. Whether you’re looking for somewhere for your big family holiday or a quiet getaway by the sea, our caravans are a real home from home. Remember, we won’t be beaten on price! If you find a park cheaper, we’ll match it – that’s our Price Promise! With a huge accommodation range to choose from and a stunning location on Cornwall’s south coastCornwall’s south coast, it’s easy to see why caravan holidays at Tencreek are so popular! You won’t need to pack the kitchen sink with a stay at our Looe holiday park, with all our holiday homes coming with everything you need for the perfect self-catering stay. Scroll down for more details on our individual caravans. The perfect choice for larger families, our Sunrise caravans sleep 6 people in comfort and can accommodate up to 8 people when the make-up bed in the lounge is used. 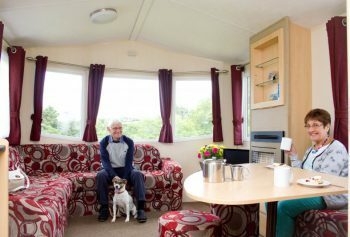 Extra wide and with pitched roofs, our Sunrise holiday homes provide that feeling of space.